Flat racks and platforms are suitable for transportation of uncontainerizable goods. 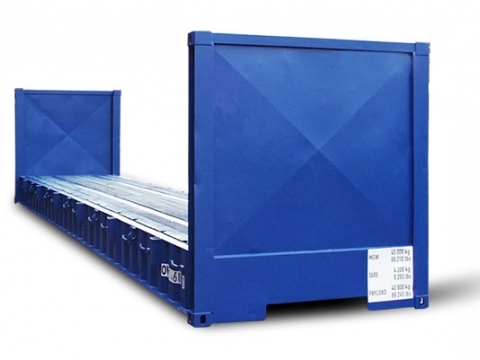 In sizes of 20' and 40' they can be offered with fixed or collapsible end walls. The advantage of collapsible flat rack containers is the space saving transport when the rack is empty and the walls are folded down.